At the table with good friends and family you do not become old. 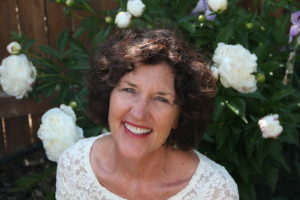 Laureen’s positive energy is contagious! This last weekend, I enjoyed one of the finest stress-free parties I’ve ever thrown. What’s my secret? Read on for clues! 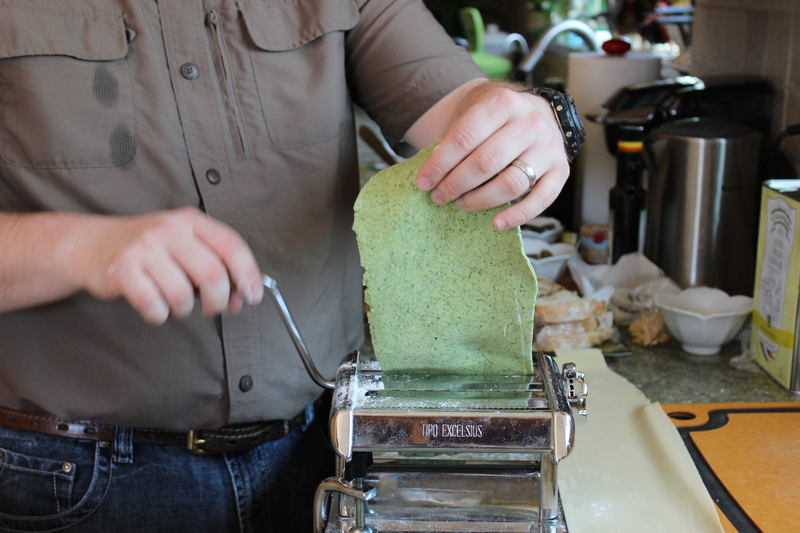 Recent trips to Italy have inspired me to excavate my pasta machine and crank it up. 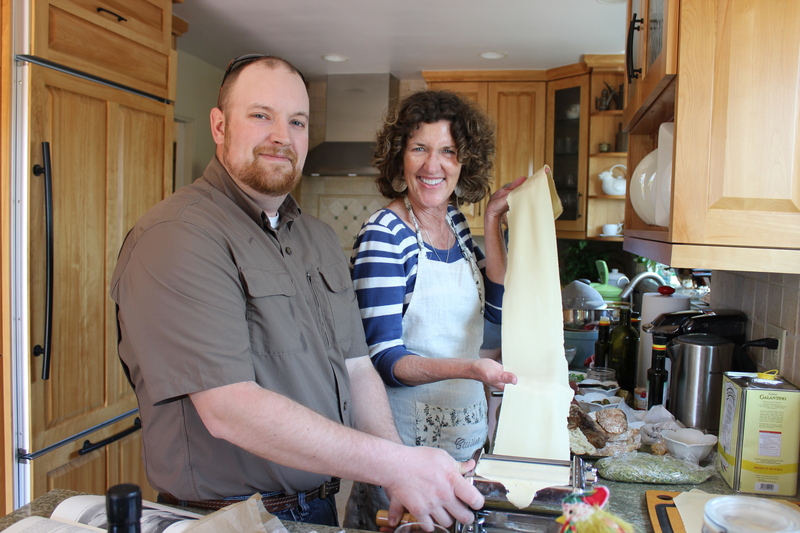 What better way to renew my acquaintance with this machine, than to invite other food lovers to share in the experience of making fresh, homemade pasta? The friends I made in Rome on a food tour were in San Diego for the weekend. 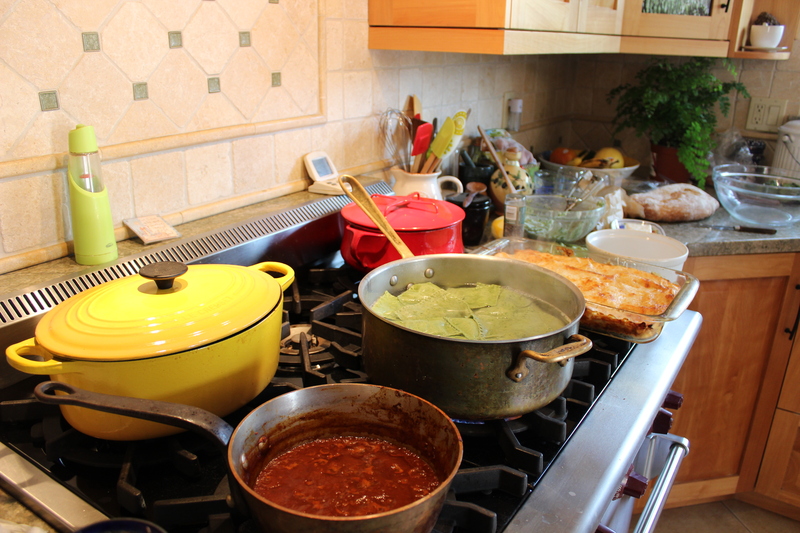 Thus the inspiration for a pasta party with friends of all ages to gather, cook Italian and swap stories of Italy. 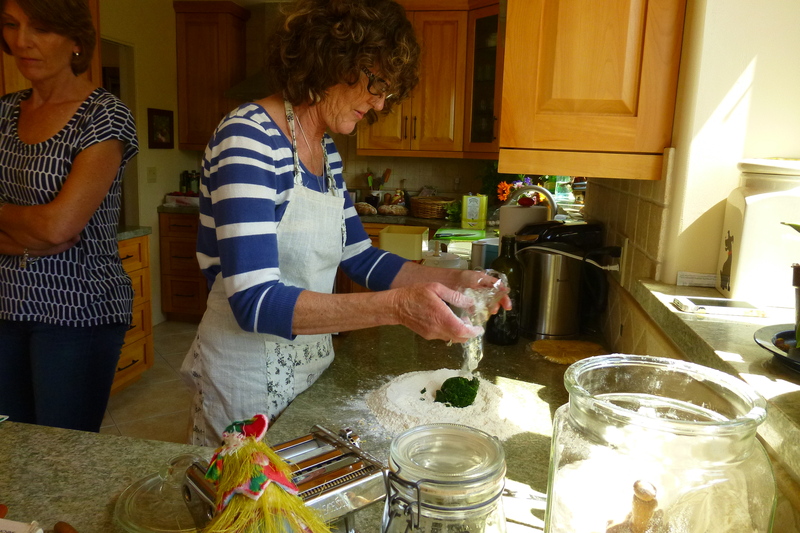 I cranked up the Mambo Italiano tunes from Pandora and soon the spoons were stirring, hands were kneading and bodies were swaying to the beat of the music. Are we having fun? It was a blast! 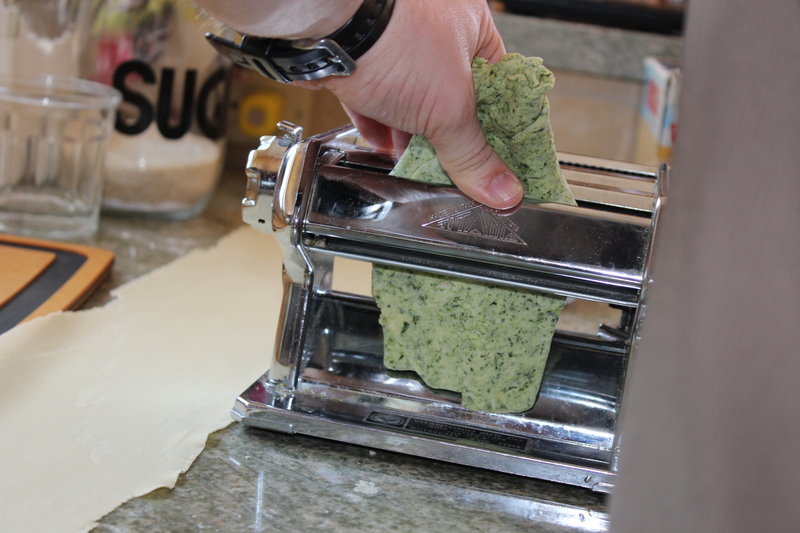 Making spinach pasta – one of my favorites. 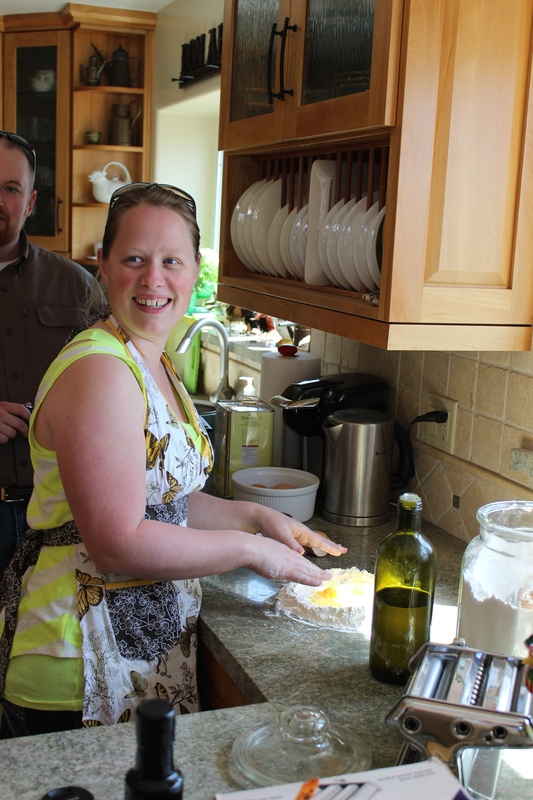 After a how-to demo of using your fingers to gradually incorporate the flour into the well of eggs and olive oil, I turned the mixing over to Laureen, the friend I met in Rome. The dough almost looks as if it is not going together but it’s important not to add more liquid at this point. 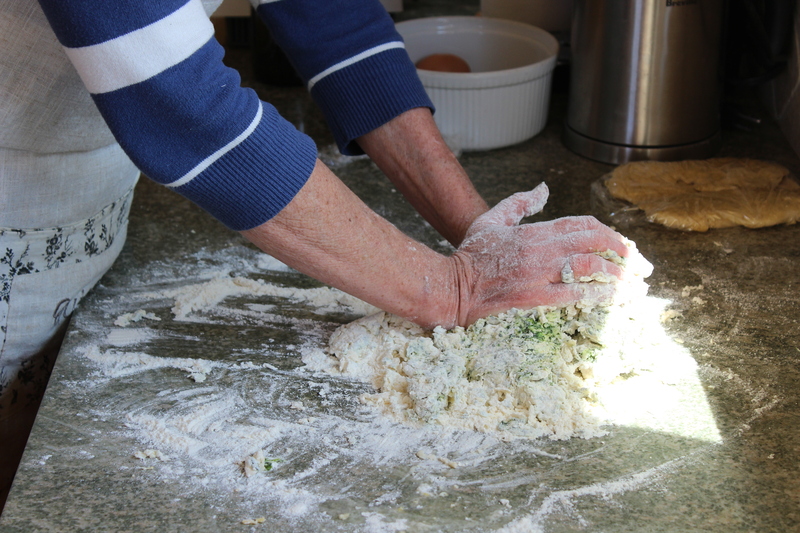 Sometimes strong hands are needed to pull the dough into a cohesive mass. Laureen’s husband, Brent was our man. His strong hands swiftly kneaded the mixture into a beautiful soft and smooth dough which we let rest for 20 minutes. 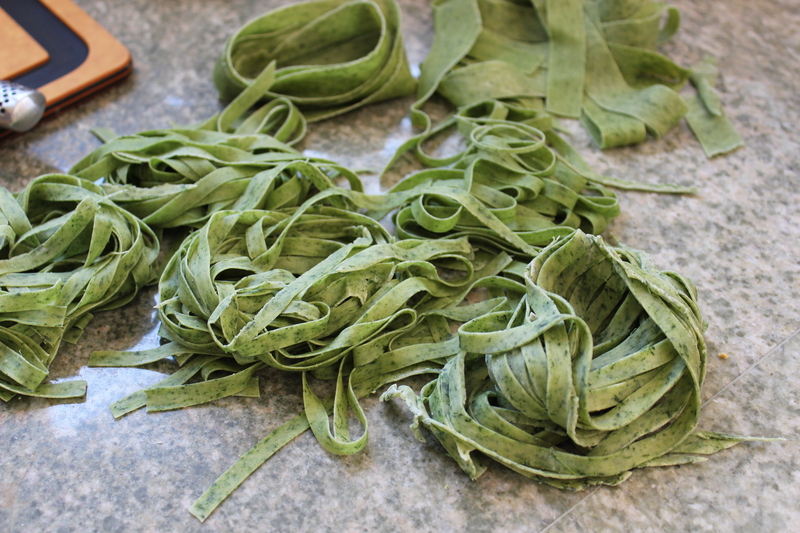 Even though I’ve made homemade pasta many times before, I did some research and thought Guiliano Bugialli’s method for rolling out the dough was worth a try. First, feed the dough through the machine on the widest setting. Then fold the dough into thirds like a book. Notice how this pasta dough is much coarser than the multiple rolled pasta. Feed it through the machine again on the widest setting and repeat folding and rolling on this setting eight more times. After the ninth roll, reduce the settings to move the rollers closer together. Feed the dough through each of the remaining settings once until the dough is almost translucent. Brent’s egg pasta is perfecto! We made two batches of pasta. One pure egg and one spinach. The egg is made with 2 cups of flour, 2 eggs and 2 tsp. of olive oil. Simple. 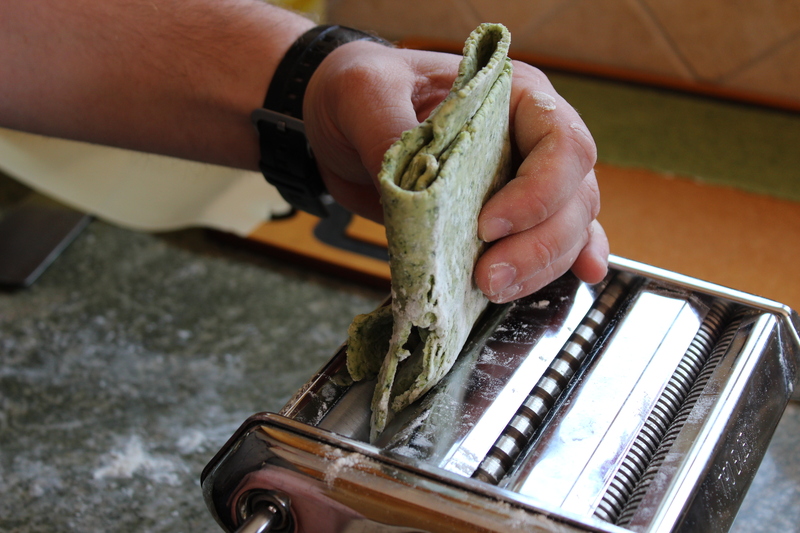 With patience, Brent folded and rolled and I must say, the texture of the pasta was the best I’ve ever made. This technique is a keeper! How much more beautiful does this get? Or do I just love food?? 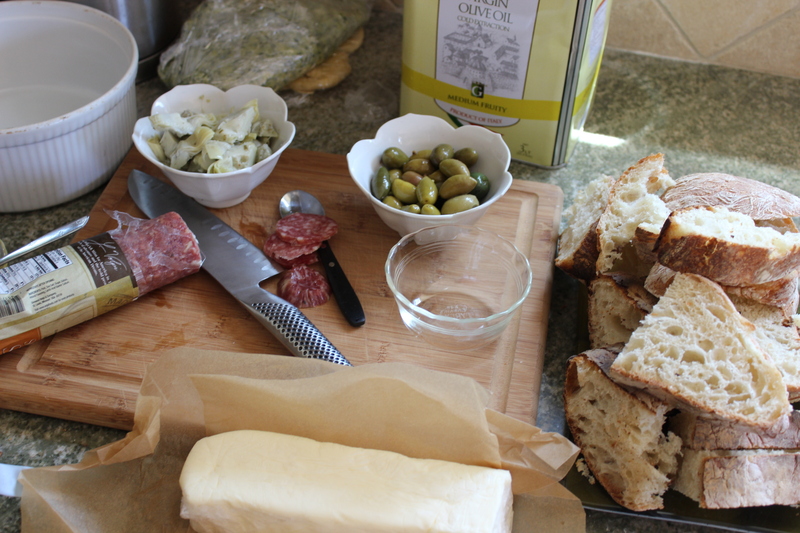 Our antipasto munchies. The butter is homemade by moi! Everyone had a task. My friend Eva made a red sauce from tomatoes I canned last summer. 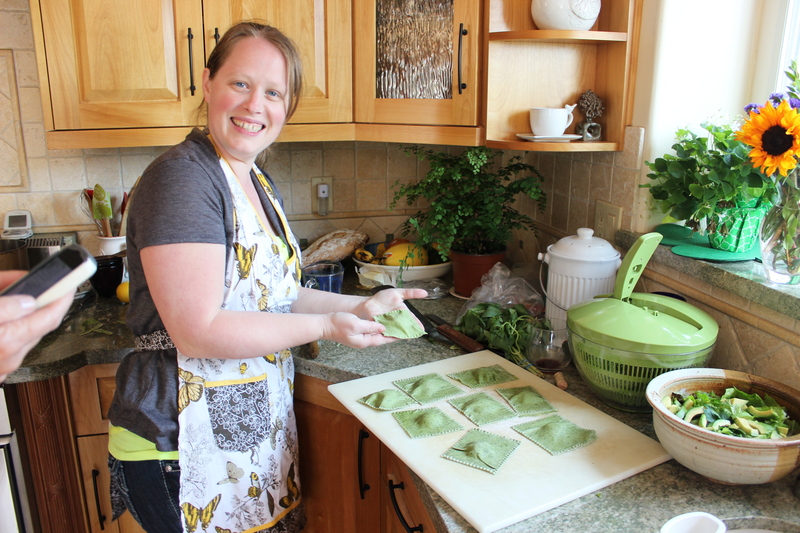 Laureen carefully cut out raviolis, made from our homemade spinach pasta, and filled them with spinach and ricotta. Sliced veggies ready for their grill marks. 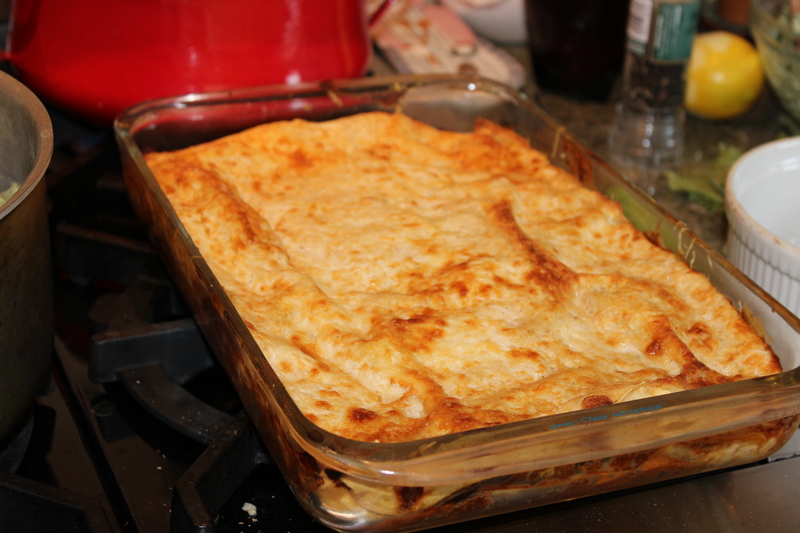 My mom manned the BBQ grilling thinly sliced eggplant and zucchini to be layered into the white béchamel-sauced lasagna. La mama hard at work. Mom’s finished lasagne The secret ingredient is lemon zest and lemon juice stirred into the finished bechamel. 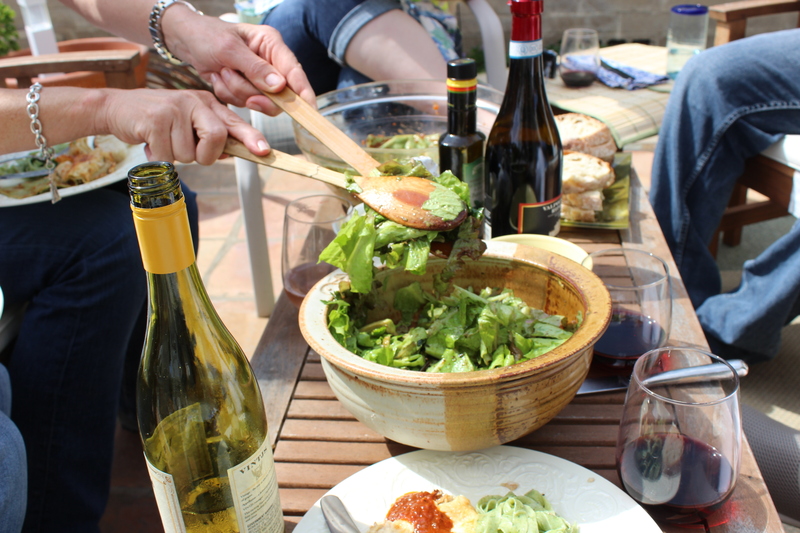 Eva tossed a salad with greens from my garden, southern Italian olive oil and thick aged balsamic vinegar from The California Olive. 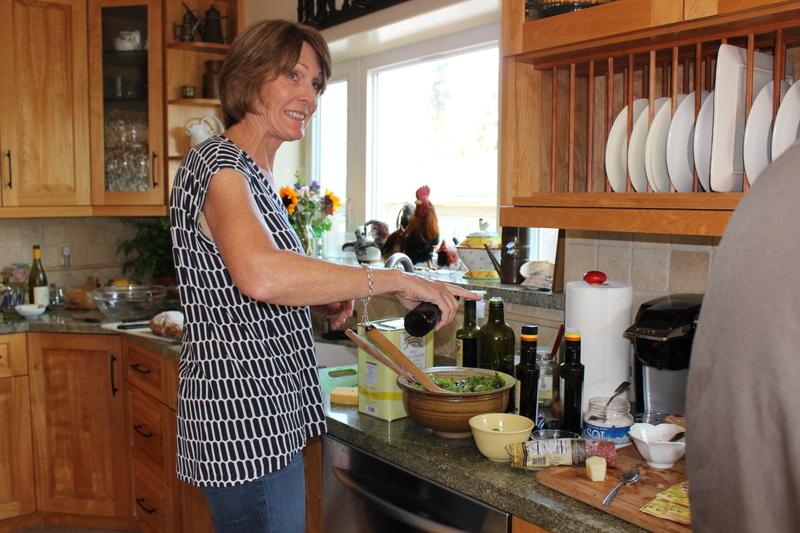 Eva gives a splash of olive oil and balsamic vinegar to the greens. 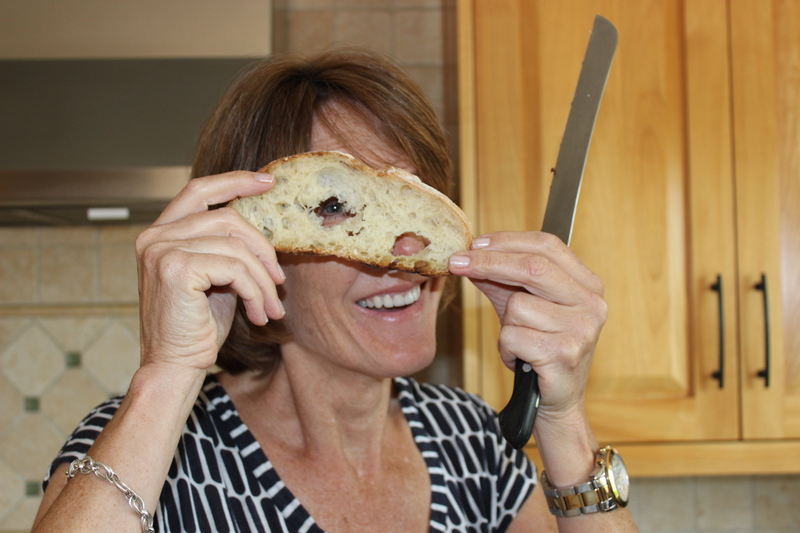 Eva showing off the eyes of her bread. Lucky me for having a great friend who makes the best bread I have ever put in my mouth. 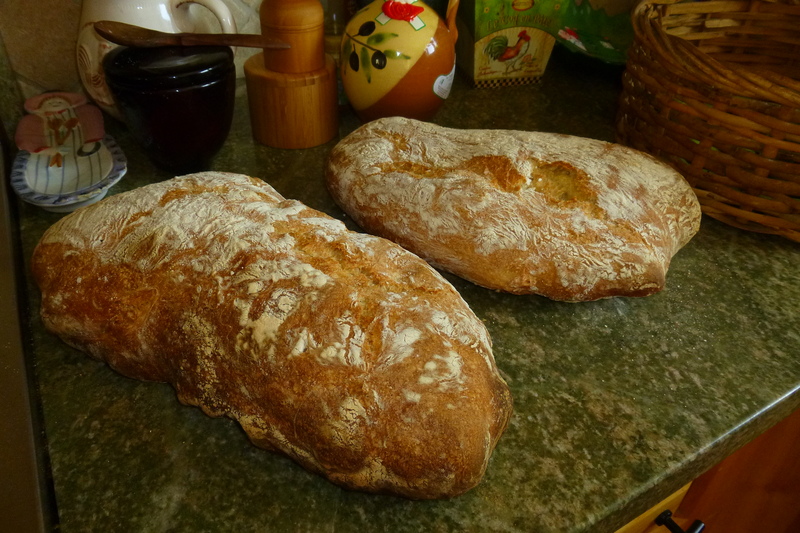 Eva presented us with two huge loaves of crunchy Ciabatta with a chewy interior and perfect taste. She seriously needs to take this to the next level and sell her bread to all her fans. Ciabatta made with love by Eva. Divine. This is one happy kitchen! The meal was coming together! A bottle of Prosecco and a toast celebrated our friendships. It was time to indulge! Ravioli, fettucine and lasagne. Italian heaven. The company IS the party! È raccogliendosi a tavola che gli amici apprezzano la gioia di stare insieme. 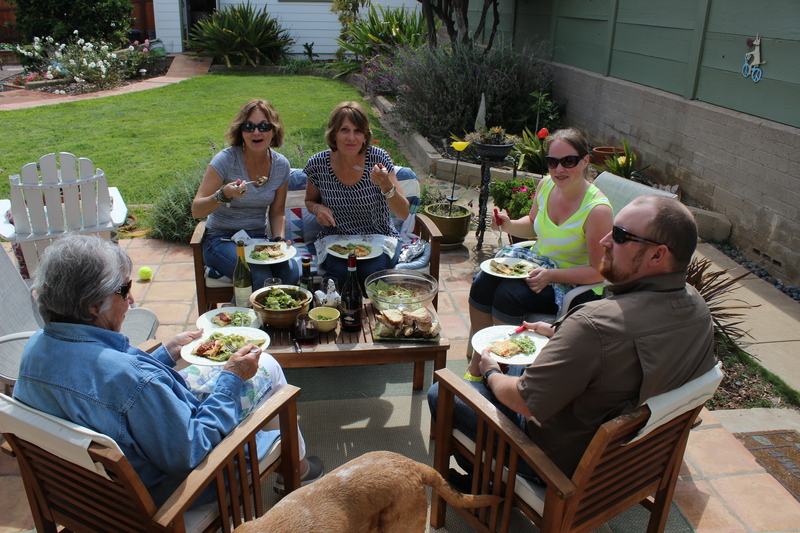 It is around the table that friends understand best the warmth of being together. 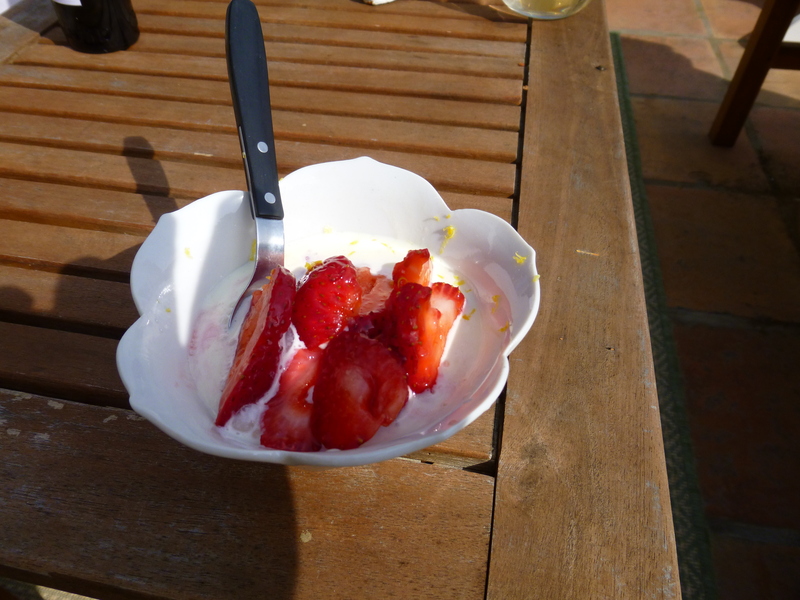 Limoncello drenched ice cream and strawberries were the digestive. If you haven’t thrown a spontaneous party recently, I highly recommend it. All you need is adventurous friends, happy, snappy, music, a few ingredients and a dose of quality time. 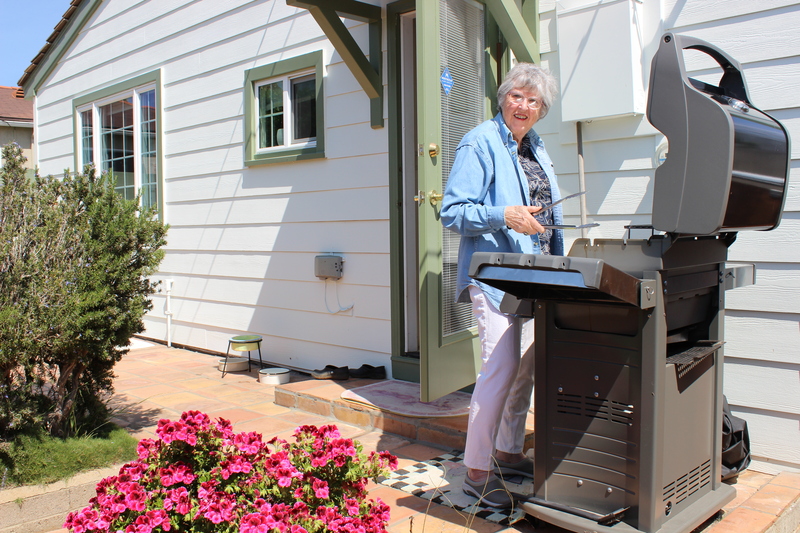 It’s easier than you’d imagine and more fun too! Buon Appetito! 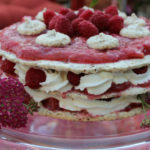 Abbandonati all’amore e alla cucina! 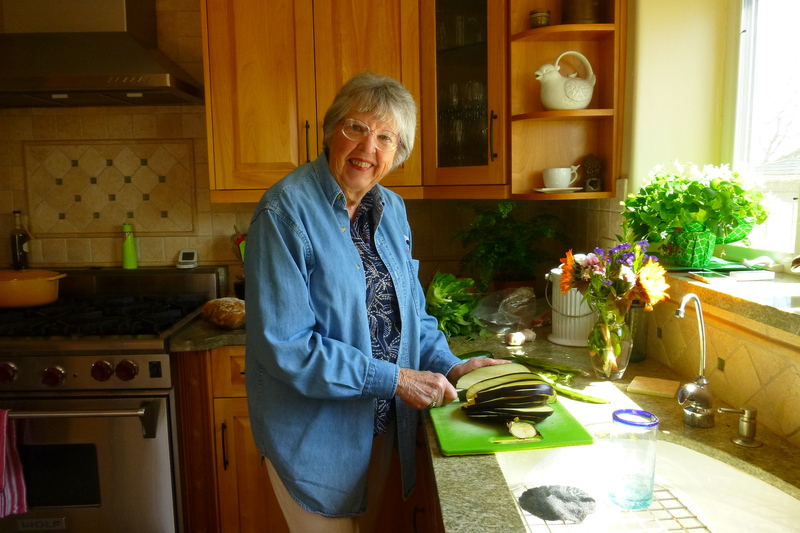 Love and cook with wild abandon! 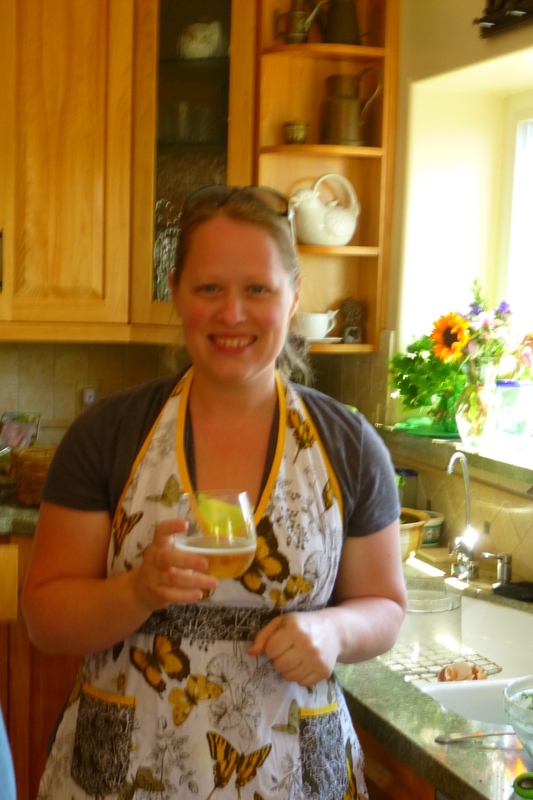 Thank you so much for including me in your amazing garden party! Loved every moment! The more the merrier! I loved meeting you and sharing the fun. Come back soon! What a feast!! As always, I am inspired. OMG!! Merci Bonnie! 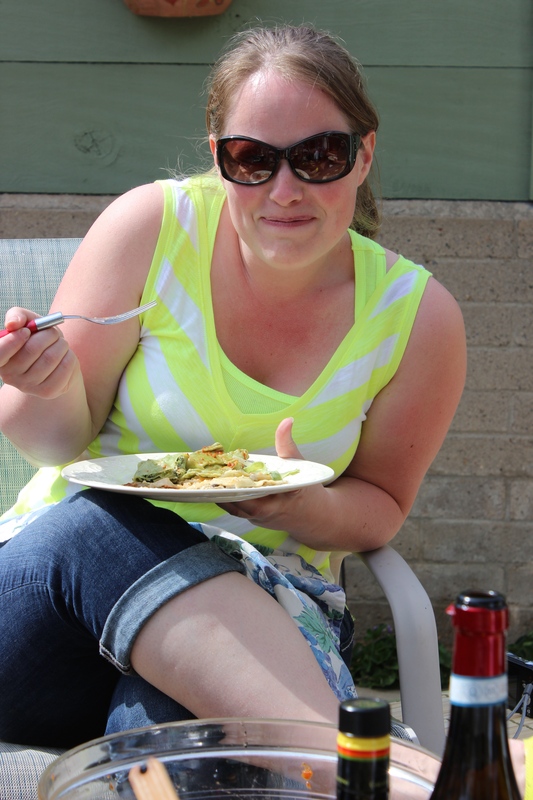 Pasta is definitely my favorite food group! WOW, I am so jealous! Everything looked fantastico! And look at that Sun down there! I wish you could have joined us! 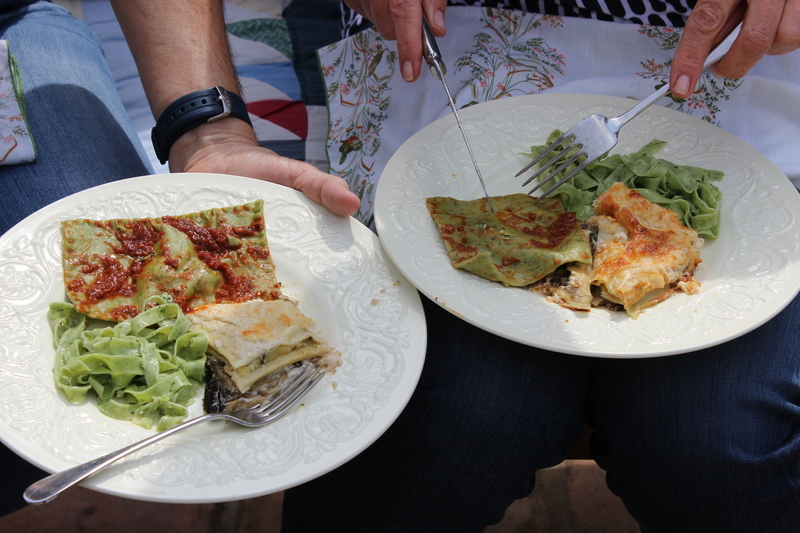 When I closed my eyes, I was transported back to my kitchen in Italy. Miss you! So happy to be included with Mary and her wonderful talented friends. It was, indeed, a great party with great food. Isn’t it fun to meet a perfect stranger in another land and voila! Friends are instantly made. I’m so glad the Rome connection came to play with us. Me too Mom! It was a great mix of personalities who all resonated at the same level. Let’s do it again soon! What a lovely day and incredible palate pleasers! If only it could be experienced every day! 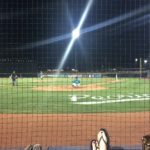 Love the blog and photos! What a positively delightful article, and what a glorious feast. Complimenti! Thanks Adri! Yes, it was a good time had by all. I plan to repeat it. Change the guests. Change the ingredients. A nouvelle festa. I love making homemade pasta!! !